It can be done!! Get to the top of Saint George Lycabettus Hill! With the electric powered bikes the 415 meters hight hill is a piece of cake (some physical condition is needed). 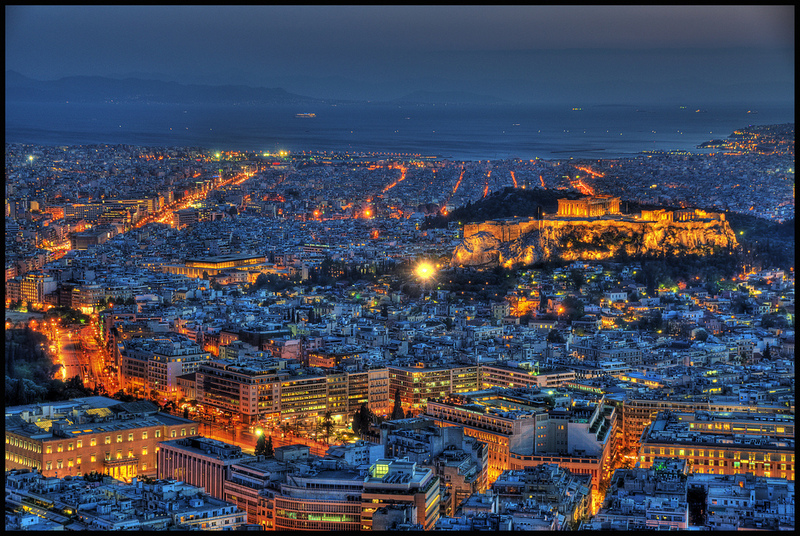 With the pedal assist you will get to the top and enjoy the absolute best views of Athens. Especially i you choose the early evening tours will definatelly give you breathtaking views of the sunset. We would leave Thisseio and ofcourse get glimps too of some Historical sights as Temple of Zeus, Hadrians Arch and the Panathenaic Stadium. Once we get to the top where ofcourse we will have a stop for a rest and some great shots we will make our descent. We will stop for a coffee or drink at a café – built on a steep road that was once part of the Athenian countryside – and the neighborhood got their name from the water reservoirs that were built here during Hadrian’s reign. While heading back we pass from posh Kolonaki area, the chicest area of downtown Athens, Monasteraki and Psiri. Dionyssiou Aeropagitou Street is one of the most impressive streets of Athens, offering an extraordinary view of the southern slope of the Acropolis. 360o Views from Saint George Lycabettus Hill of The Acropolis and the Parthenon. Monasteraki and Psiri where the action is. This tour is available in English, Dutch, French and upon request German, Spanish ,Italian and Russian. Discounts for groups of 5 and over.